Giles TV specialise in CCTV Camera installation from discreet location installations to totally hidden ones. We can offer homeowners, small to medium businesses and commercial organisations the very best in CCTV to suit your budget and your requirements. Protect your property with a professionally Installed CCTV security system. 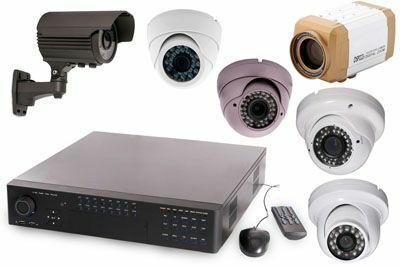 All our systems feature the very latest technology including remote CCTV surveillance and CCTV monitoring innovations. We can offer a full selection of CCTV cameras, dome cameras, digital recording equipment, auto tracking CCTV cameras, night vision cameras and all other essential accessories to ensure effective surveillance. Giles TV offers the latest in remote access CCTV systems and can enable remote access on most existing CCTV setups. This gives home owners and business owners the ability to view, monitor, record and download images from your CCTV system from any remote location, anywhere in the world, from any web enabled device whether it be a PC, laptop, iPad, iPhone or Android smart phone. Now you can view your CCTV pictures on your Mobile phone with live viewing! From setting up a simple home security camera to full video surveillance systems for business premises, small shops, hotels, nightclubs, community CCTV, private estates, we can provide CCTV coverage for all! We can also install multi site remote central station, CCTV monitoring equipment for high profile buildings. from hi-end analogue to HDSDI over coax 1080p CCTV to IP CCTV. For further information on our CCTV services, please call us on 01934 611264 or send an email via our Email Enquiry Form.